I'm sure you've been there—halfway through typing something out, you realize that one word you've been using more than any other has been misspelled. Perhaps it's a single word, acronym, or line of code that you find yourself typing quite often at work, but this one requires complicated hand gymnastics that you'd simply rather not perform over and over again. If you work with a cloud-based system, or at least find yourself typing in your web browser quite a lot, the process of hunting down these mistypes and replacing them with the correct spelling can be automated. 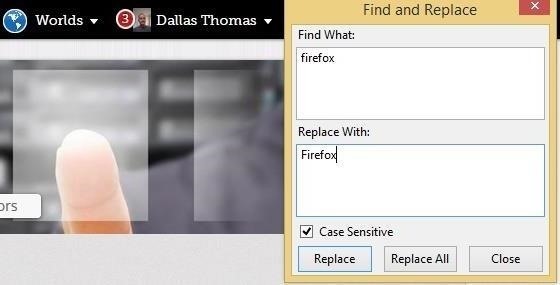 With "Find and Replace" extensions for both Chrome and Firefox, you can hunt down every instance of a misspelled word and replace it with the proper spelling in one click. 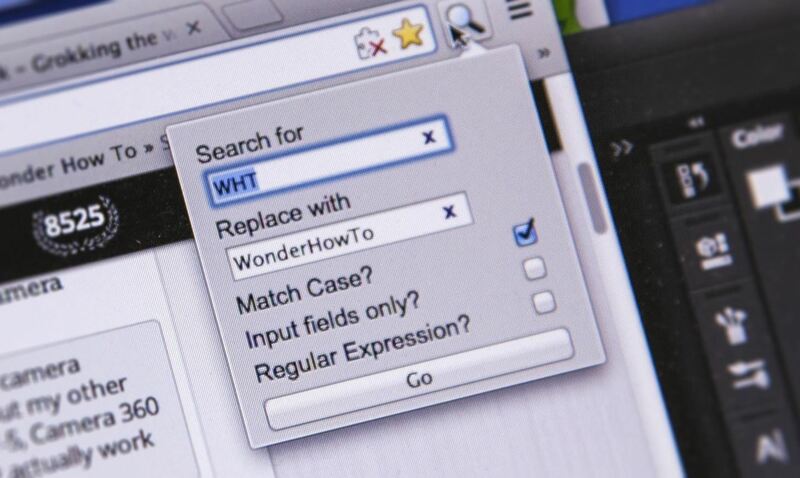 For users of the Chrome browser, a popular extension is available that will not only replace misspelled words, but will also fix mismatched upper- and lowercase letters. To get up and running, just install Search and Replace in your browser. No restart needed. With the extension installed, any time that you'd like to replace all instances of a mistyped word, start by clicking the new magnifying glass icon next to your address bar. From here, simply type in the word and what you'd like to replace it with, then click Go. Options below the Search for and Replace with fields include case-matching and the ability to only search through input fields. A similar extension exists for the Firefox browser, and while it's still in its beta phase, it works wonderfully already. Just install the Find and Replace add-on in your browser to get started. This add-on's functionality can be accessed through the context menu—just right-click any spot on your text input field and choose Find and Replace. To replace misspelled text, type the incorrect spelling into the first field, then enter the word that you want to replace it with in the second. An option to respect upper- and lowercase is available directly below the input fields, and you can opt to either Replace the first instance, or Replace All instances of the word. Unfortunately, I've been unable to find any such extensions for Safari, Opera, or Internet Explorer. The latter had the functionality baked into older versions, but the current IE builds do not offer a search-and-replace function. Have you come across any similar extensions for other browsers? Let us know in the comments section below, or on Facebook and Twitter. News: When the Web Exists in 3D Space, What Happens to the Browser?